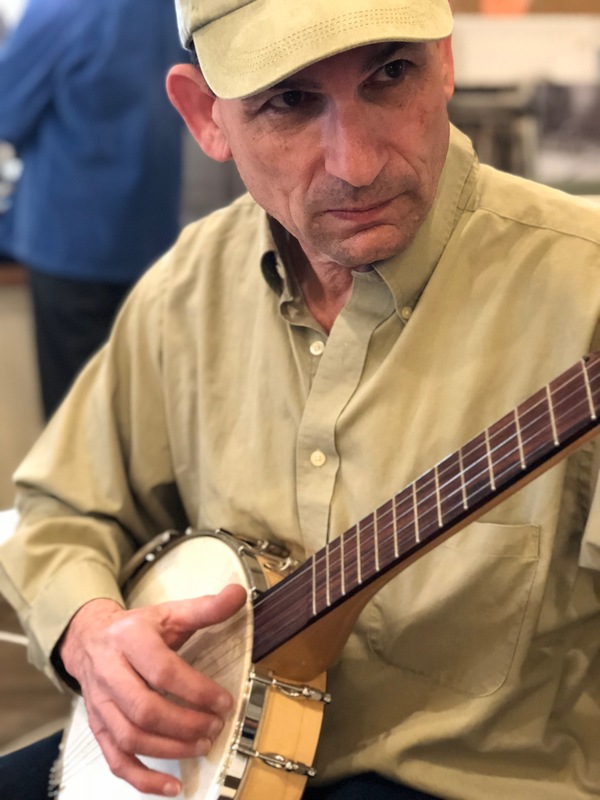 Click below to find the press release for our next Fringe Festival in Brighton, UK and other media resources you’ll need to cover Keith Alessi’s one man show, Tomatoes Tried to Kill Me, But Banjos Saved My Life. If there’s anything more that you need, please don’t hesitate to contact us! 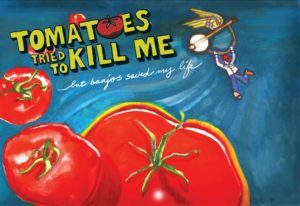 Award-winning, one-man show ‘Tomatoes Tried to Kill Me, But Banjos Saved My Life,’ to make Brighton Fringe debut! The inspirational, humorous and internationally toured one-man show created by entrepreneur Keith Alessi comes off a highly successful run at the New York City FRIGID Fringe Festival earlier this year. Just added to the schedule: Opening night performance on Friday, May 3 at 8:30pm at the Warren: Theatre Box & Inclusion in Best of Fringe pre-show! 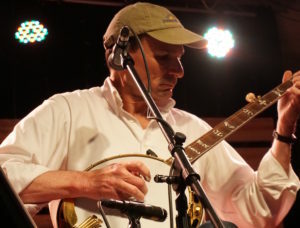 After a major life-changing event caused a high-flying corporate CEO to suddenly retire and reevaluate what’s important in life, a banjo-picking storyteller was created with a message of resilience, hope and perseverance. Now, he tells his inspiring story at Fringe Festivals and shows in the US, Canada and in May, the UK, at the 2019 Brighton Fringe Festival. 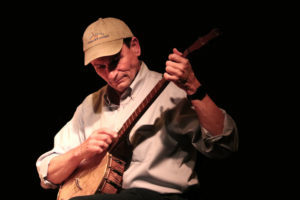 ‘Tomatoes Tried To Kill Me, But Banjos Saved My Life,’ written and performed by Keith Alessi, is an award-winning and highly reviewed one-man show that has been touring North American since June of 2018 after it premiered in Chicago, Illinois. He tells the story of his multi-cultural boyhood, meteoric rise in the boardroom to the startling news that changed his life forever. He candidly reveals to his audience how he used that obstacle to find a new passion in music and a cathartic outlet in storytelling. Before taking to the stage, Keith was well known as a successful public company CEO and entrepreneur. He has lead companies in both Canada and the United States. Encouraged by others to tell his personal story of challenges and triumph, Keith wrote Tomatoes Tried to Kill Me and performed it in Chicago, Toronto, Edmonton, Vancouver, Roanoke, and Floyd, Virginia last year. This year, the show will be performed at many Fringe Festivals. February we kicked off in New York City, following that will be Brighton, England, Orlando, Florida and Windsor, Ontario this spring, and rounding off the summer and fall will be Regina, Saskatchewan, Winnipeg, Manitoba, Edmonton, Alberta and Vancouver, British Columbia. A dual Canadian/US citizen, Keith splits his time between Vancouver, British Columbia and Roanoke, Virginia. He received his MBA from the University of Michigan, Ann Arbor, and is currently an adjunct Professor of Law at the Washington and Lee University Law School in Lexington, Virginia. In his free time, he pursues his passions of flying and banjos! Erika Conway, a Canadian actress, writer, and producer is no stranger to the stage. Her 25 year career has included acting in multiple roles both on stage and in film/TV including: Anne Frank: The Diary of Anne Frank, Beatrice: Much Ado About Nothing, Alma: Summer And Smoke, Mother: The Imaginarium of Dr. Parnassus, Dr. Lambert: Blackstone. Most recently, she portrays Nyx in the new Canadian web series Necessary Evil which premiered at the Edmonton International Film Festival in September 2018, won Best Web Series in The Blood In The Snow Canadian Film Festival, and will be travelling to festivals in Houston, Sicily, and Germany this summer. Theatre has always been Erika’s first love and although acting has been a major part of her career and life, she has been more recently honing her writing and dramaturg skills. In 2016, Erika wrote and produced a one woman show for the Edmonton Fringe Festival called Confessions of a Middle-Aged Drama Queen and discovered how much she enjoyed the producing side which has ultimately lead her to work on Keith’s one man show Tomatoes Tried To Kill Me But Banjos Saved My Life. She is thrilled to be working alongside Keith in his journey with this beautiful and inspiring story. She is moved by the overwhelming and personal response the show has received in the past year. Erika is also the show's Press Contact. Click here for more reviews & press about the show and here for more audience feedback!